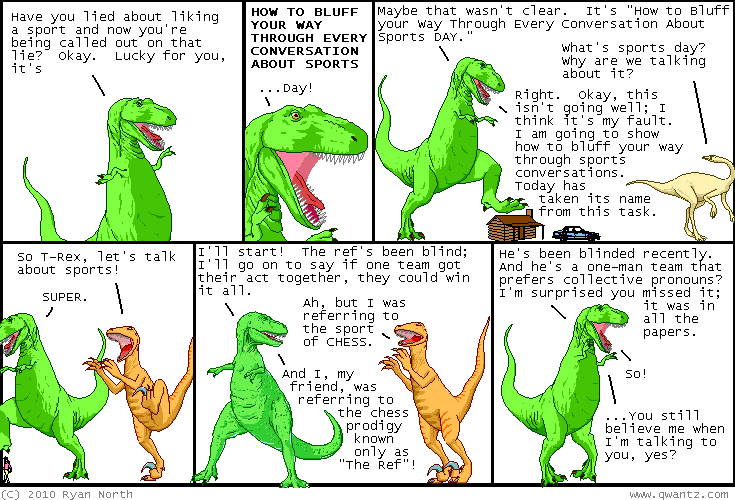 Dinosaur Comics - November 1st, 2010 - awesome fun times! November 1st, 2010: Folks are getting their copies of Machine of Death in the mail! When you get yours, you can join our new MOD Facebook page and post pictures of you and your book and then SEE WHAT HAPPENS (generally the picture gets uploaded to the site and shared with other members).